The government announced a $12bn plan Tuesday to assist farmers who have been hurt by Donald Trump’s trade disputes with China and other trading partners. The plan focuses on midwest soya bean producers and others targeted by retaliatory measures. “This is a short-term solution that will give President Trump and his administration the time to work on long-term trade deals,” said agriculture secretary Sonny Perdue. 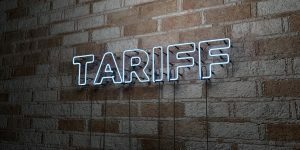 Officials said the direct payments could help producers of soya beans, which have been hit hard by the Trump tariffs, along with sorghum, corn, wheat, cotton, dairy and farmers raising hogs.